As we’re wrapping up 2017, I thought I’d offer a few of my favorite reads that came out this year. I haven’t had as much free time recently as I’d like, so I feel lucky that some of the books I did manage to read were this good! 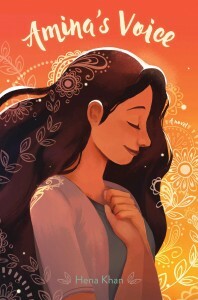 Amina’s Voice by Hena Khan – Realistic fiction is not normally my thing, but this sweet MG novel charmed me while also teaching me a few things about the experiences of some Muslim Americans. 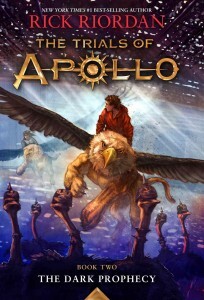 The Dark Prophecy by Rick Riordan – I continue to be impressed by (A) Rick Riordan in general, as an author and a person, and (B) his ability to pull off writing a series from the point of view of the god Apollo. 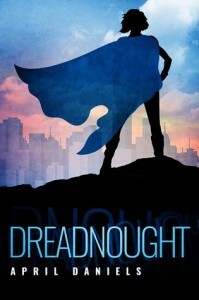 Dreadnought by April Daniels – My favorite of the year! The prose, characters, and world are all excellent in this YA novel about a trans girl who becomes a superhero. 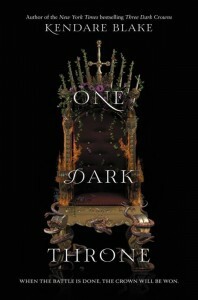 One Dark Throne by Kendare Blake – Sequel to the fascinating fantasy Three Dark Crowns, which is a hard act to follow. I couldn’t put this one down, either. Kendare Blake can write, y’all. What 2017 books did you love?